The Dutch duo ‘Redondo’ have carved out a nice career for themselves so far considering they are still very young in the music game. 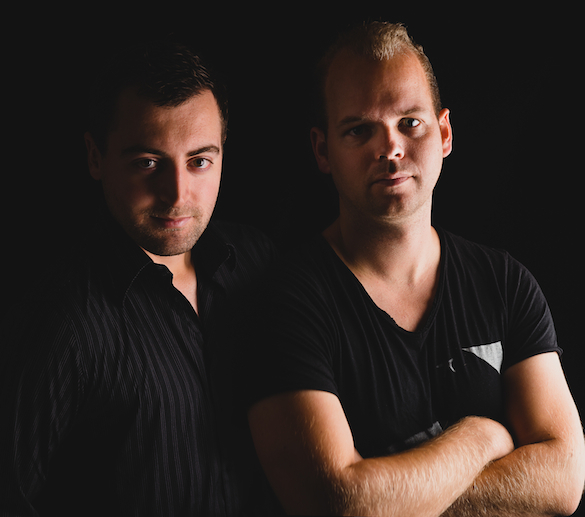 Freek & Johan each make up 1/2 of the DJ/production team and their future looks bright. With various gigs all across Europe, Asia and the Americas and continuous releases on top labels such as; Spinnin, Toolroom, Material & Witty Tunes. 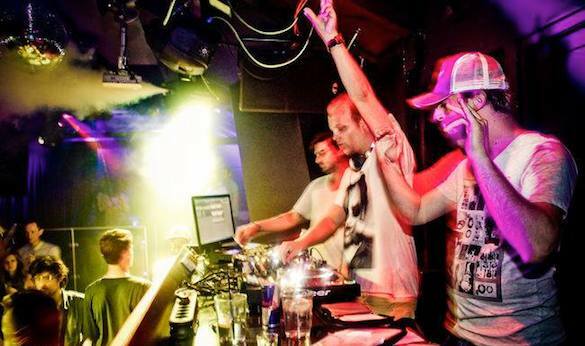 They’ve also cultivated support from top DJs like Mark Knight, Roger Sanchez & Laurent Garnier. Returning with the next edition of the nostalgic ‘Toolroom Records Selector Series’, Redondo dip into the Toolroom catalogue to deliver a selection of their favorites. We sit down with ‘Freek’ as he prefers to be called, in this exclusive interview. 1) Hey Freek, it’s been awhile, how are you and where are you? 2) Tell us about your latest (and first) recorded mix release compilation for the ‘Toolroom Longplayer’ Series. Our latest release is our edition for the Selector Series on Toolroom. It was a pleasure to check their large catalogue and pick some goodies out of it. We tried to stay close to our sound. Very diverse, from atmospheric deep and summer-feeling tunes to more late night bangers. Our latest single is obviously Love Too Dee and that one is going really smooth. Big buzz in the UK and Holland. The future looks promising. First time we had an underground record that went mainstream. 3) Congrats on that! So, how did you hook up with Toolroom on this? Mark Knight played lots of our own and label’s (Witty Tunes) stuff already and together with Ferreck Dawn we signed the track Kaduna there. After that some other tracks followed and the collaboration started working smoothly. They do a great and professional job. 4) Tell us where does the artist name ‘Redondo’ originate from? The label was started by our friends Sideburn from DC. After a couple of years we were collaborating a lot with them and they invited us to join the label in 2010 and change the style a little bit. All 4 of us did and the results were great, and every year it’s getting better. We try to maintain quality in every release and that’s what we hear back from many DJ’s. Even though we release a lot, it’s all up to standard. We’re currently working with 5 people (to run things) plus we have new and amazing artwork coming and of course, top notch EP’s by talented and established producers all around the globe! 6) Tell me which you guys prefer, small intimate clubs or large festivals? Small clubs and smaller areas at festivals. Our music is not designed for a 20,000 people audience. Clubs and outdoor events are both 2 different things. I really like the way music sounds outdoors. On the other hand a great sound-system and a sweaty small club has it’s own uniqueness as well. What a boring answer this is, but it’s really all I can make of it! Both? 7) Describe your preferred and current DJ setup when gigging? 8) What’s the home studio like? Any analog gear or strictly in-the-box? Nope, all digital. Analog gear is cool but we’re from the digital age & never worked with it and never felt the need to. When we collaborate, we sometimes like to tweak and use it, but coming home again I have the feeling that at least 50% of the coolness is the tweaking with your own hands and not a mouse. Input from each other is the most important thing as we’re tweaking a lot. We have a lot of experience in mixing down music so when we help upcoming producers we can easily forget that sometimes. You can give the same set of samples to producer X and he does something completely different than producer Y. It’s not something you can learn in a week, it takes practice and practice and practice. As long as you feel that every track you make sounds better you’re on a good road. 9) Give us one Redondo production/remix you’re most proud of? “Love Too Deep”. It’s the perfect example of producing a track right and finding the right samples & vocal hooks. It’s too easy to find an acapella, put a beat to it and call it a day. We just used some build up sentence from the track, not even the chorus and then we made a chorus out of it with a different chord scheme, which is not sampled from “Show Me Love” by the way. Of course the organ sounds familiar, that’s the great thing about it. When we produced it, we & Ferreck Dawn said to each other: “Ok who knows, this could be big”. And now, it’s starting to become big, and it’s awesome! 10) What inspires you to make music? Good parties, other (people’s) music, the weather outside and mainly your mood at that particular moment. 11) Any promotion/marketing advice to other artists out there? Take your own strength as your base. Don’t rely on others, because when they find a new great producer, you’re out of the picture. Also don’t spam other people with your own music on social media. ONLY use your own page & account for it. Nobody feels honored if you tag other people in a new release message. Don’t act like a C@#$ as well. I see a lot of ‘downloaded for…’ [in the feedback section] in our Witty Tunes promo pool. When you’re Hawtin or Carola, of course, that’s one thing. We don’t even (really) care what they say about it as long as they play it. 12) What was your best gig of 2014 and why? 13) What future projects do you have in the pipe line? We have a big big tune coming up with a friend and we can’t really say anything about it, sorry. You will hear within two months or so… Also Ferreck Dawn and ourselves are working on the follow up, which is almost done now. On the remix front, we have a remix by Zhu called ‘Faded’ coming up. Also we’ve almost finished remixing Mike Mago & Dragonette – Outlines. So lot’s of things to look out for! THANKS REDONDO, ALL THE BEST AND CONTINUED SUCCESS! Follow Redondo artist page & check their releases on Traxsource.